Ole Miss Outdoors trips are true adventures. That’s what UM communications specialist Christina Steube found out when she tagged along on a camping, hiking and caving trip to Cloudland Canyon State Park in Georgia. Foundations for Academic Success Track is designed to help first-year students transition from high school to college in a supportive environment. Around 400 FASTrack students per year benefit from the smaller and enhanced classes, individualized advising/mentoring and a community of supportive peers. FASTrack students earn higher GPAs, go on academic probation less often and return for their sophomore year at higher rates than their peers. By now, just about everybody has heard about UM senior Sam Kendricks’ achievements as reigning Southeastern Conference, NCAA and USA outdoor pole vault champion, but only a handful know about his success designing his own academic degree program. Kendricks is part of a growing segment of UM students pursuing a Bachelor of General Studies, or BGS. Combine domestic travel with class credit, and you’ve got the unique experience of Study USA. 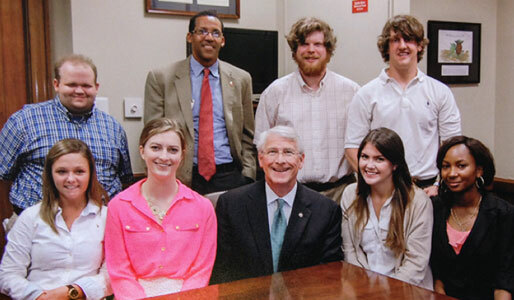 The program takes students outside the classroom and puts them in exciting locations across the United States. Each course is led by a UM professor and gives students a way to earn credits toward graduation during an intersession term. In 2013, concert pianist Bruce Levingston was approached by UM administrators to develop a program in which students would experience the art of classical music. Since then, Levingston has invited students to attend his performances around the country to get a behind-the-scenes look at how concerts are staged, to meet key players at each venue and to act as ambassadors for the university in each city. 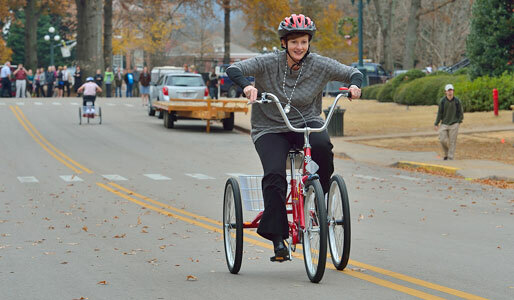 The University of Mississippi has procured a new fleet of 90 bicycles and tricycles available for faculty, staff and students to ride to encourage both physical activity and the use of alternative modes of transportation on campus.